Dominican Republic, official sponsor of OTDYKH Leisure 2018, the Russia’s leading International Autumn Trade Fair for tourism & travel. Dominican Republic had a resounding success in the last edition, and as a result has decided to become an official sponsor of the event, doubling its stand space from 100 to 200 m2, to present a colorful promotional program and to receive more partners, travel agencies, tour operators, airlines and companies linked to tourism to the Caribbean country. The tourism demand to the Dominican Republic continues to grow and the country has been placed among the most dynamic destinations in the Caribbean. Russia ranks third after France and Germany, among the most important European source markets to that Caribbean island. According to the statistics of 2017, more than 240,000 Russian tourists traveled to the DR, 82% more than in 2016. This is due to the attractions of the island, which offers white sand beaches, sunny weather most of the year, numerous beauties and natural landscapes and a rich culture, delicious cuisine and welcoming and hospitable people. Recently, the tourism minister of DR, Francisco Javier García, said that the tourism in his country continues with a formidable growing. “Only last month registered a growth of 7% in relation to the same period of 2017 and an accumulated of 5.9 in the period January-May,” he said. Francisco Javier revealed that in the first months of this 2018 the country received 2 million 853 thousand 998 tourists by air, for an increase of 157 thousand 984 additional travelers compared to the same period last year. Europe remains the second largest emitter market after the United States. On another hand, Galina Lysenko, director of the Office of Tourism of the DR in Russia, had confirmed since the success of the last fair presaged an increase in the exhibition space for the 2018 edition and the presentation of an extensive cultural program on the country that this year will be official sponsor. 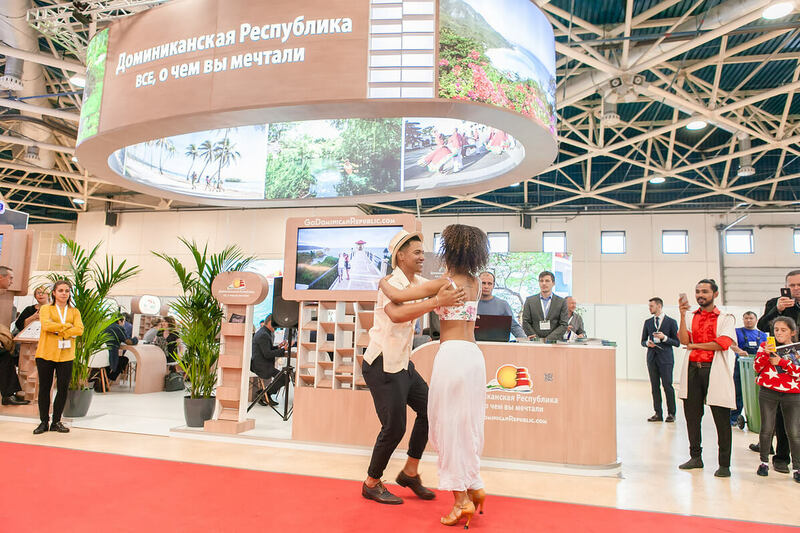 In this way, the Dominican Republic will transfer to the Moscow fair its well-known atmosphere of popular festivals and visitors will enjoy the rhythms of its music, traditional dances, culinary offerings and the presentation of the immense tourist potential of the island, both for agents of the travel industry as for investors.